Here you can find a strain description about Sage&Lemon and also some user-based reviews and infos directly from the SeedFinder (if available). You can also find the offers and auctions here if Sage&Lemon cannabis seeds are on stock at MyCannapot right now. From a cross between a mostly Afghanica S.A.G.E cut and a male of selected Ohio Lemon G born S.A.G.E. & Lemon. Plants show a unique fat cola full of flower and resin with lemon gas aroma. 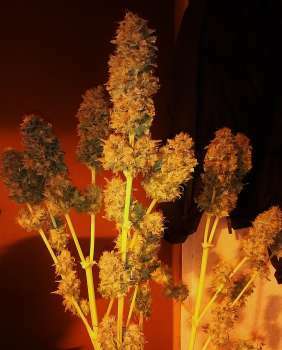 A real buds tree. Buy Sage&Lemon now at MyCannapot!